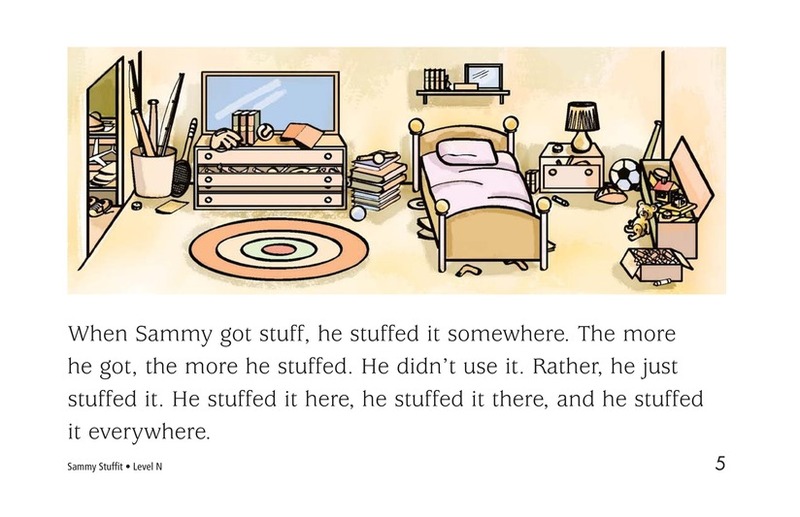 Sammy Stuffit likes to collect stuff. 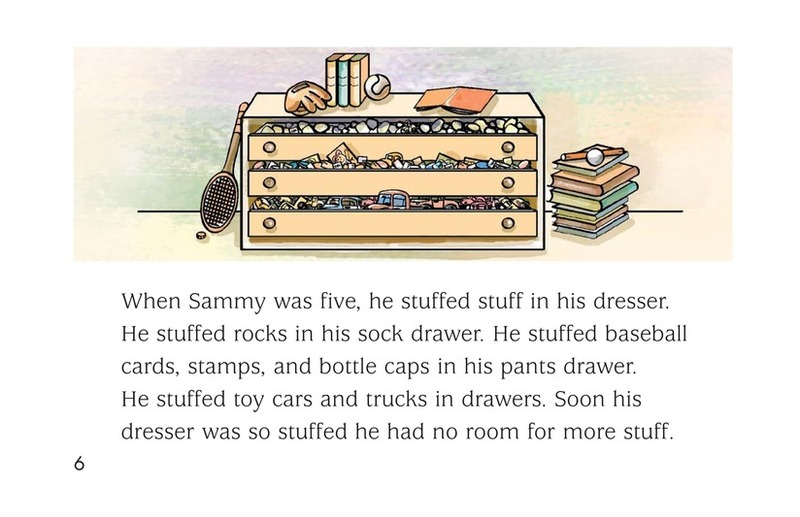 By the time he is an adult, he has so much stuff that he has to find places to store it. 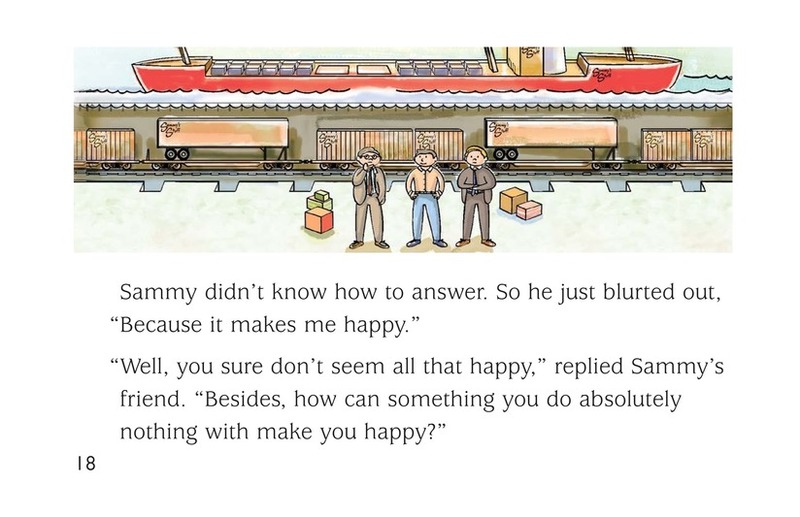 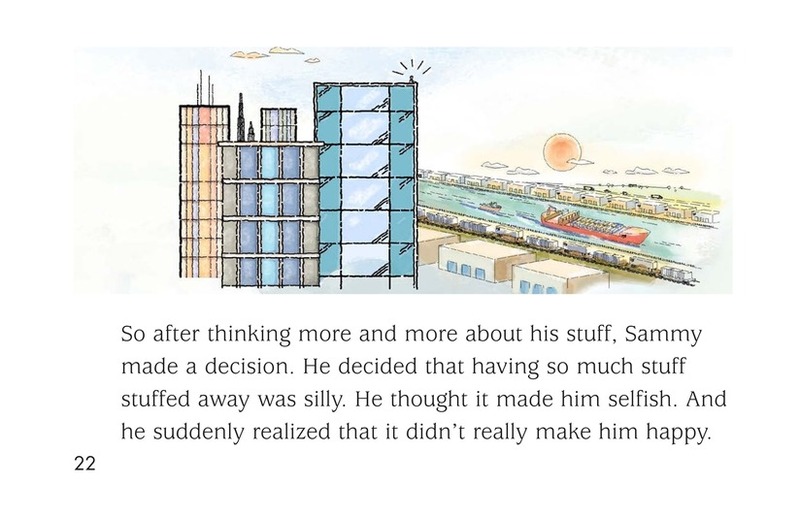 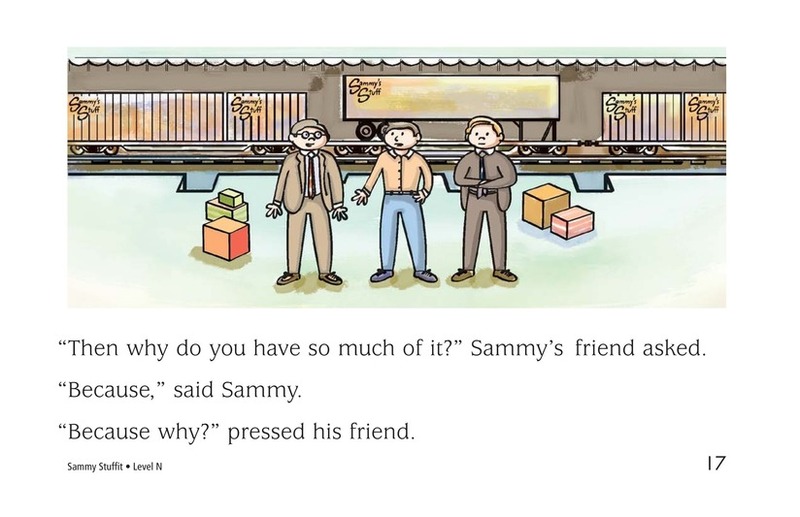 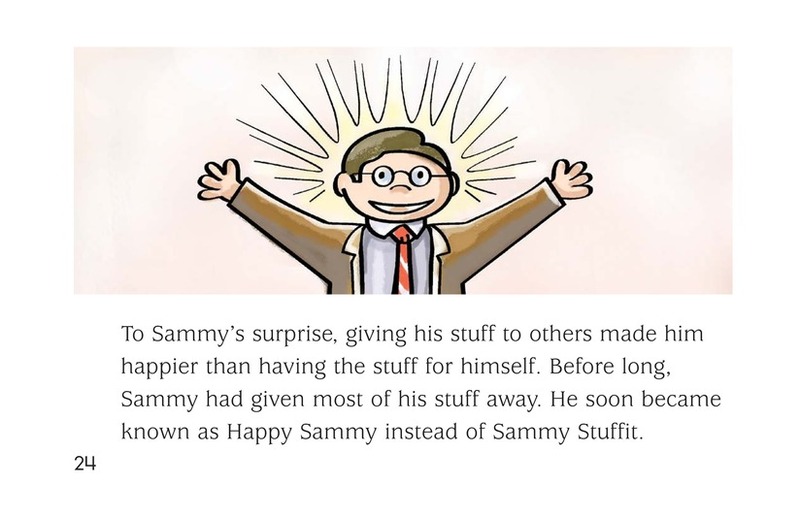 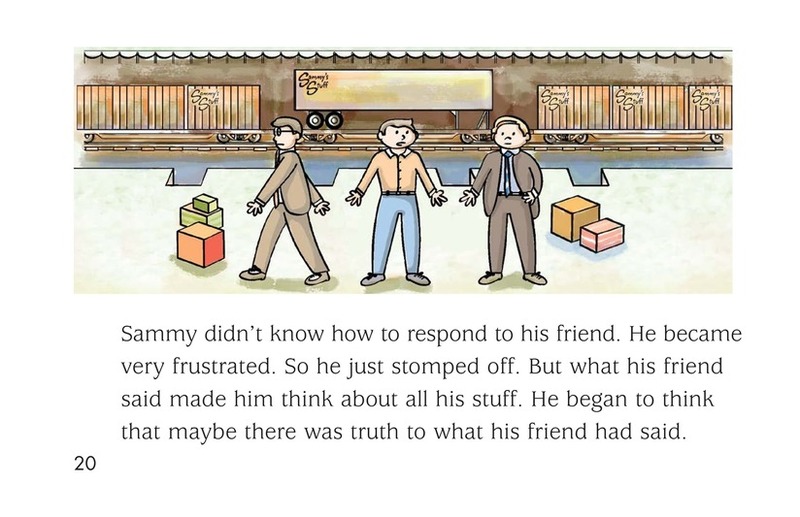 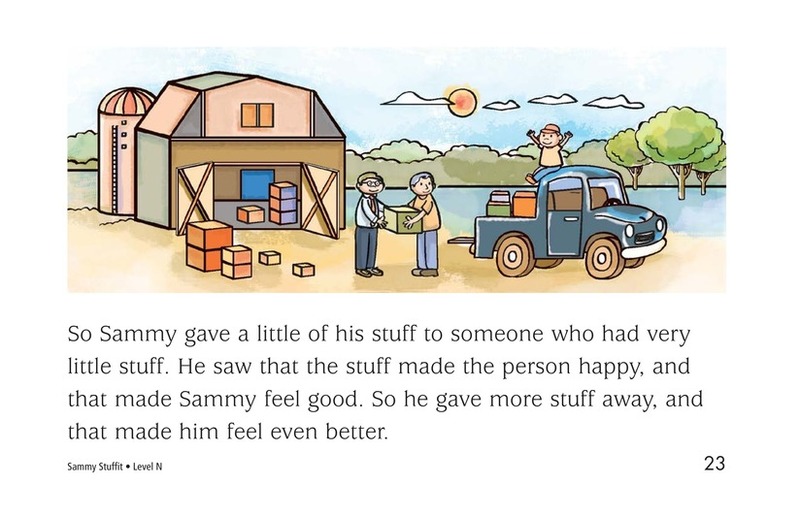 Realizing that his stuff does not make him happy, Sammy gives it all away. 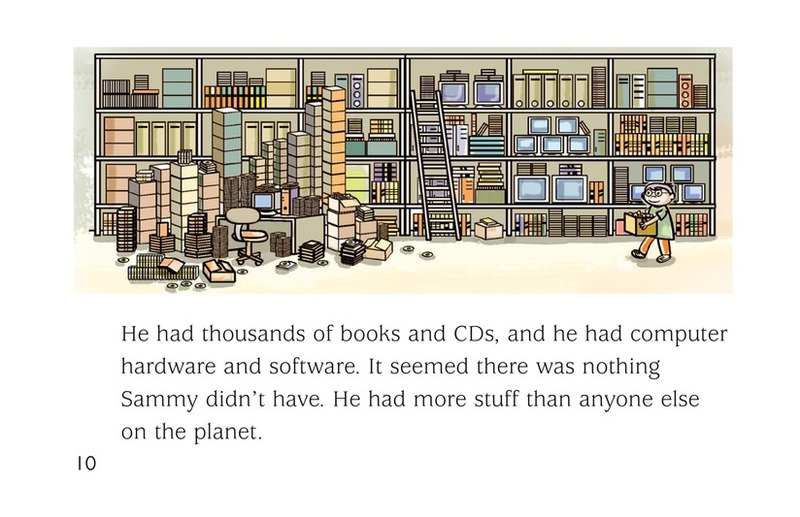 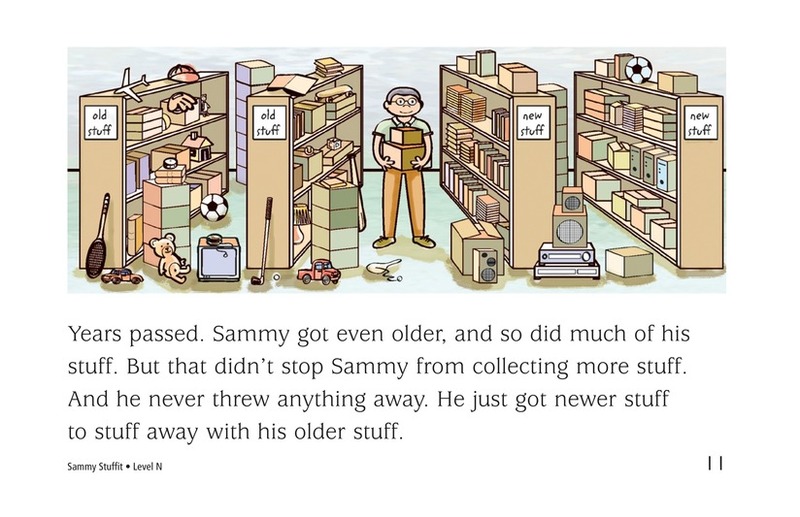 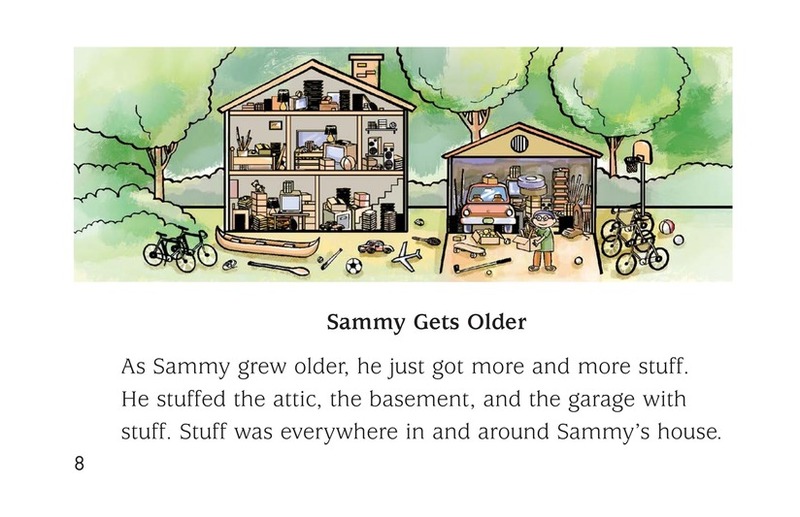 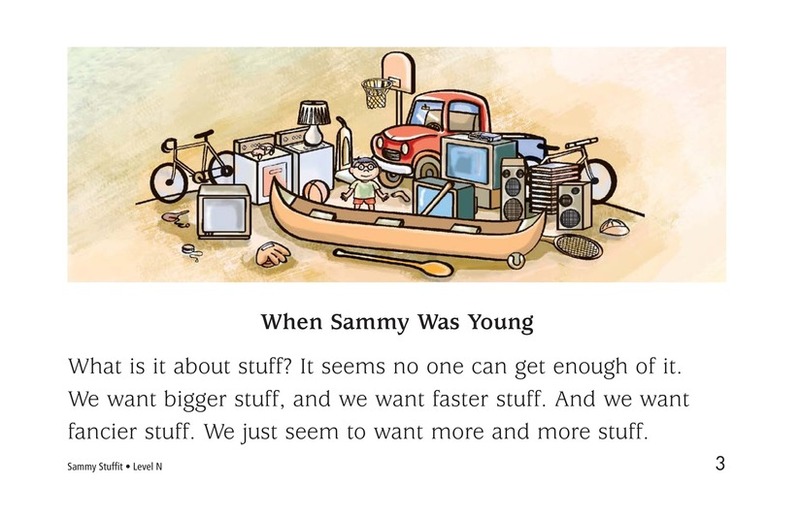 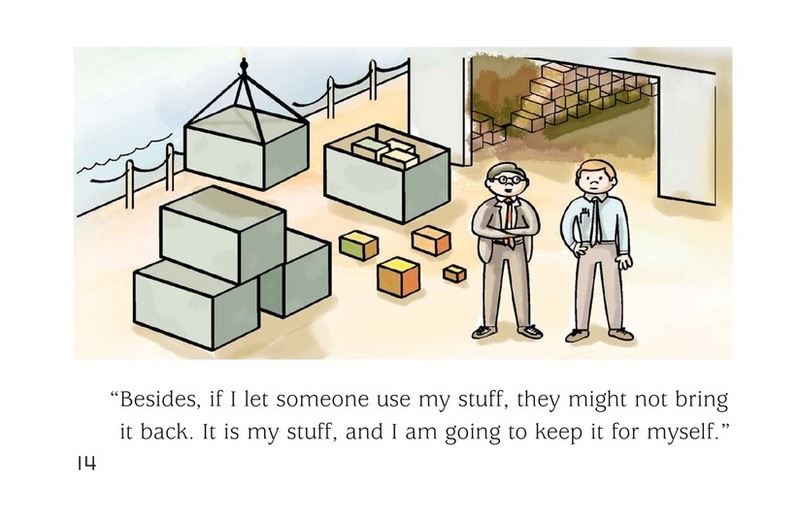 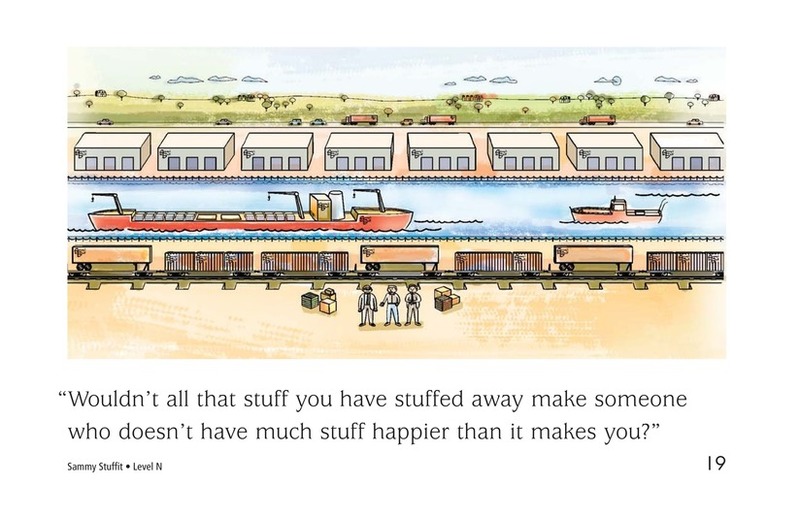 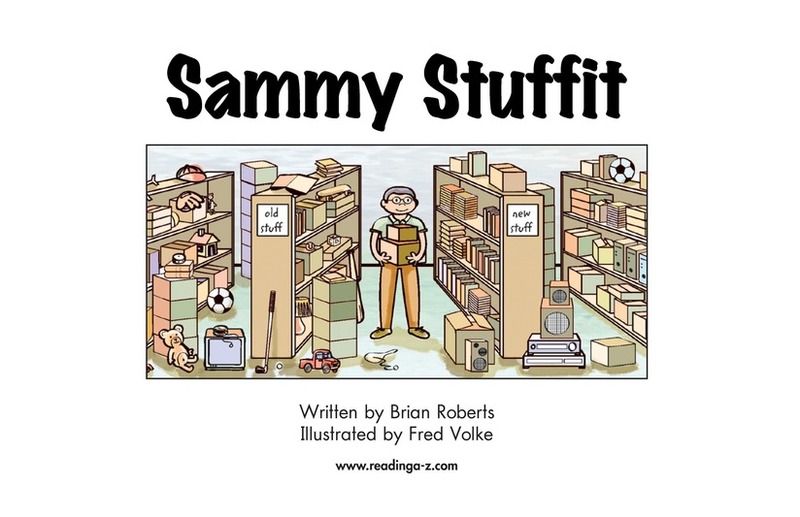 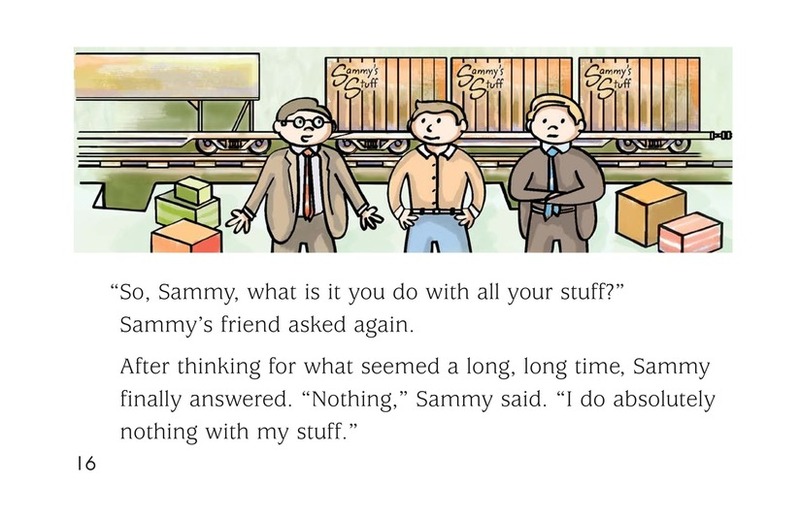 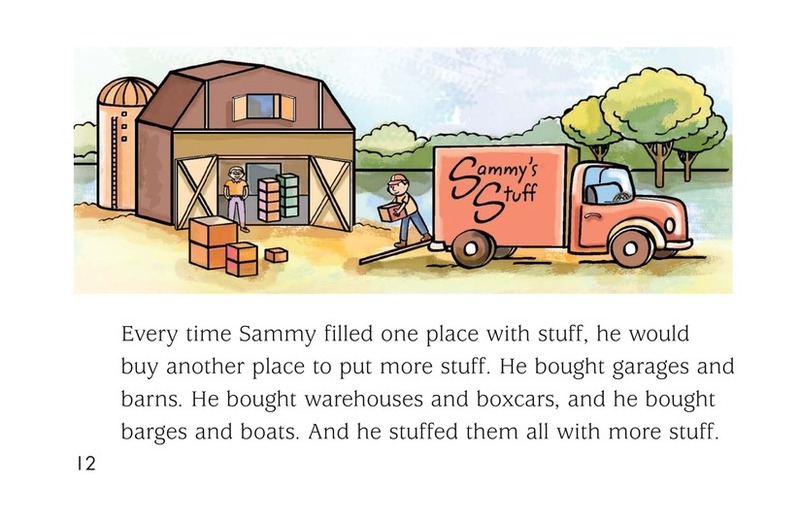 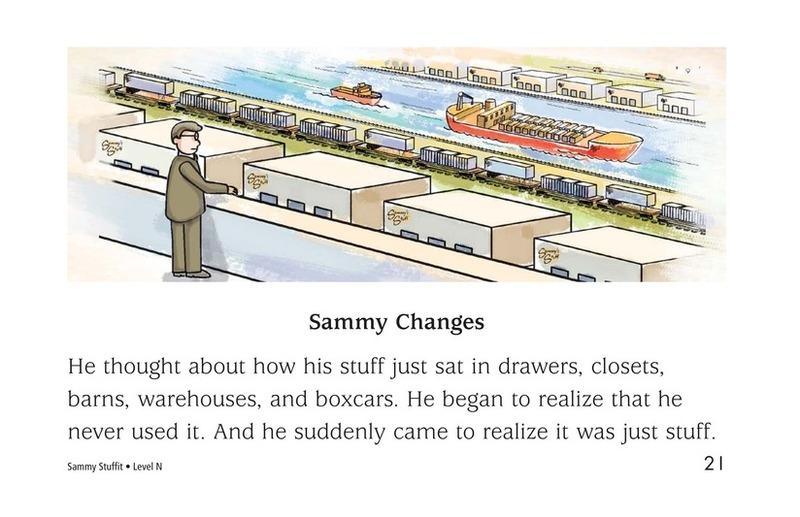 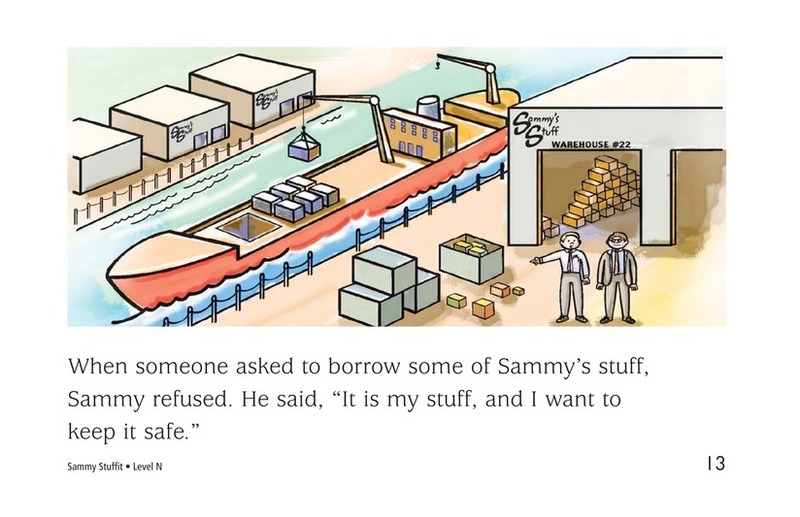 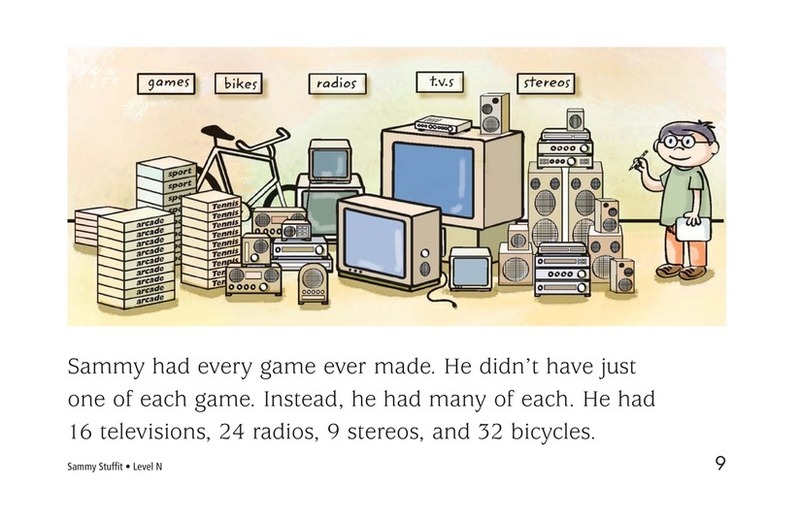 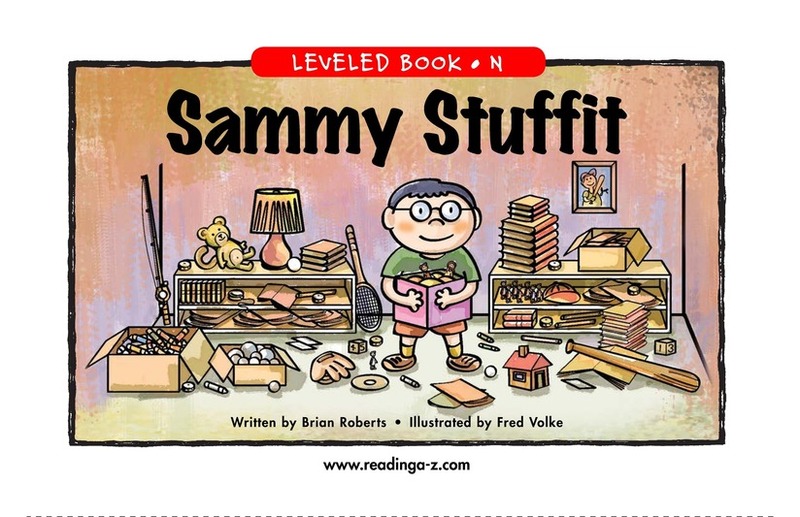 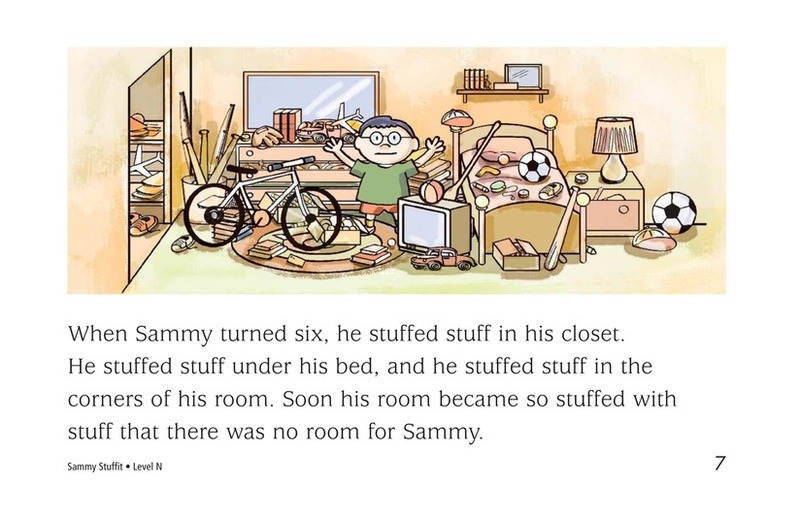 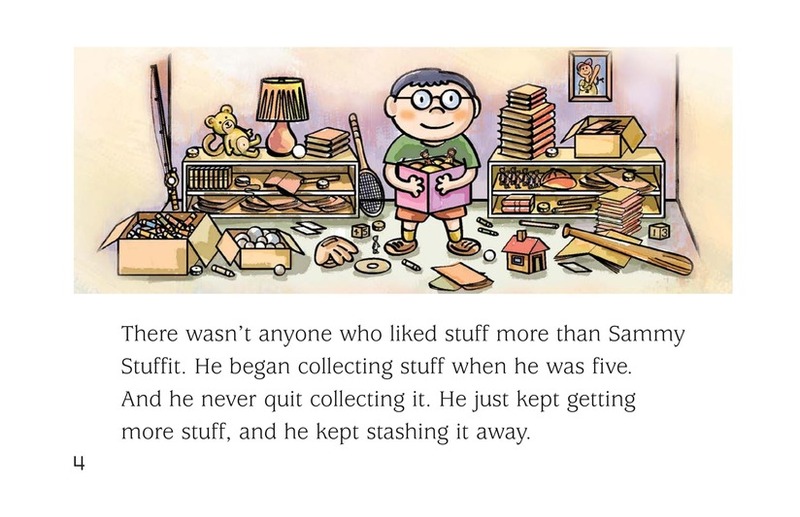 Illustrations show how much stuff Sammy has collected over the years.